Eco-innovation has been identified as one of the key drivers of change that need to be harnessed for a sustainable future. Given the complexity of eco-innovation as a concept, there are various challenges to measuring its progress. This paper briefly explores the evolution of the concept of eco-innovation and emphasises its role in the EU 2020 strategy. 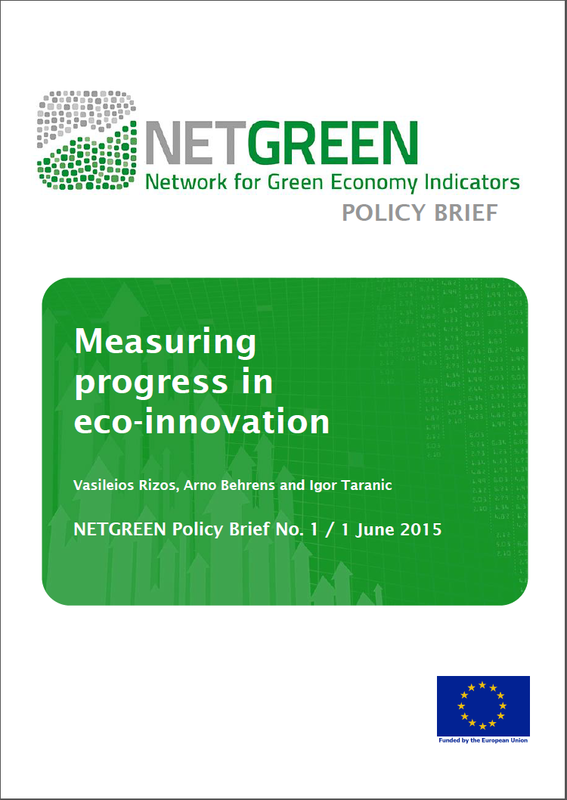 It then provides an overview of the different measurement approaches and challenges associated with identifying and using indicators for measuring progress in eco-innovation. Within this context, the policy brief describes the added value and key features of the www.measuring-progress.eu web tool, which aims to improve the way policy-makers and others involved in the policy process can access, understand and use indicators for green economy and eco-innovation. The web tool was developed on the basis of a systematic overview of the large and fragmented body of work in the field of green economy indicators conducted by the NETGREEN research team. The paper concludes with a number of messages for policy-makers.